I am feeling very Sentimental today. 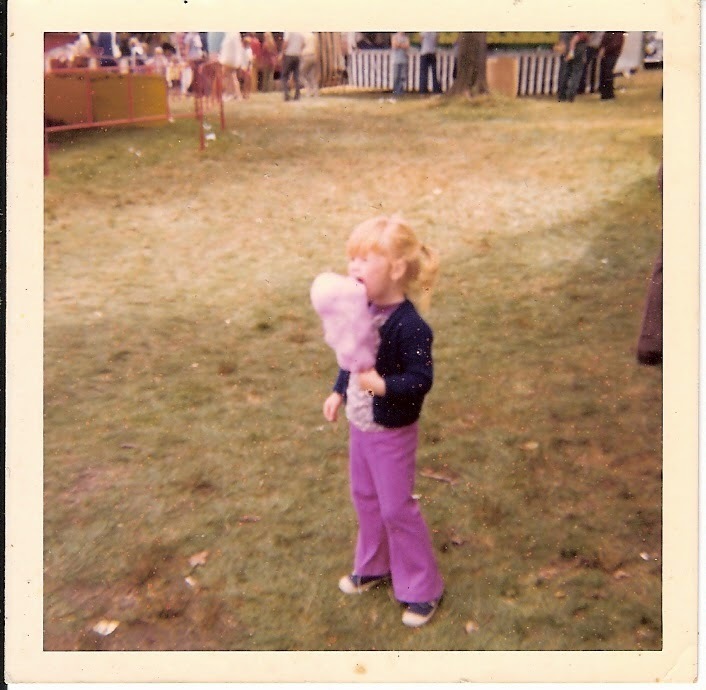 Yesterday Donald & I went to the Haddam Neck Fair in Haddam Neck, CT, something that I did with my parents and my father's parents when I was a child. I hadn't been to the fair in many years, but Donald & I were looking for something relatively inexpensive to do last year and I thought of this and we obviously had a great time because we went again this year. Walking from the parking field to the tractor pulling ring it almost seemed as if I had stepped back in time. It looked as though nothing had changed from the 70s until I saw the ATM tent and the Tai food vendor. Even so, it still feels like a slice of another time. This was the 103rd year of the Haddam Neck Fair which runs from Friday afternoon through Monday night every Labor Day weekend. Next year I want to go on Labor Day as we did when I was young and see the antique tractor pull instead of the modified tractors. Missing from the old days was the volunteer firefighter's dunk tank and pie-in-the-face fundraisers which my father loved to try his hand at, but a wonderful newer addition is a church that fundraises barbequing half chickens over a huge pit served with the sweetest, juiciest corn I've ever had, no condiments necessary. Due to scanner issues, I don't have any pictures of the five of us at the fair that I can share, but here is one I took of my parents and grandparents in my bedroom at our old house (click to enlarge if your eyes can handle my totally 70s wallpaper!). 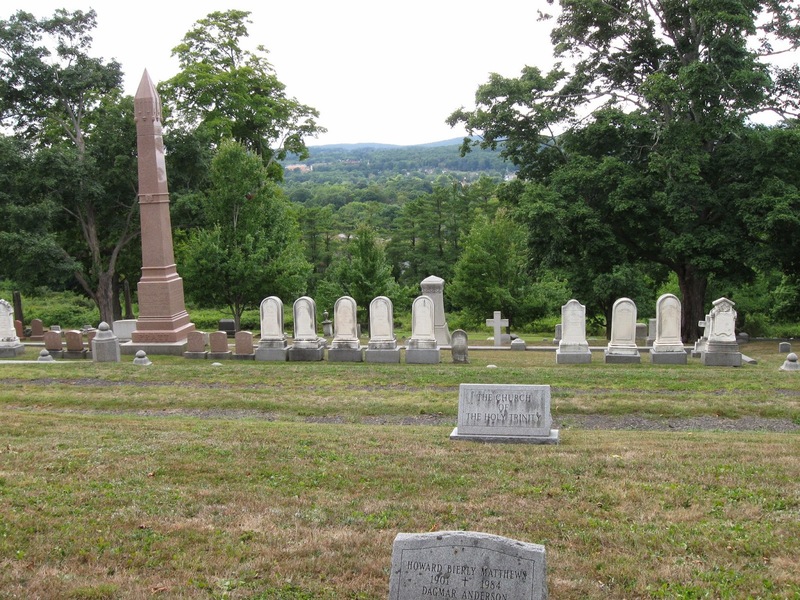 Getting to Haddam Neck from Long Island means going through Middletown, home of Wesleyan University, where my grandparents lived from the time I was born until they died and where they are buried, at Indian Hill Cemetery, adjacent to the Wesleyan campus. Both my father and grandfather went to Wesleyan, and my grandfather spent the last twenty years of his career there, as Vice President of Business Affairs. So the whole town is like a trip down memory lane and even driving through it makes me sentimental. When we visited the cemetery last year, we found my grandparents headstone tipped over. The cemetery management took care of the issue right away. We went back yesterday and took these photos. Click on the last photo to see the view from their plot, it really is spectacular in person. It can be hard to revisit places like this when three of the four people you shared them with are gone (my father died in 2005) but we made new memories, and we will definitely keep going back.